This it technically a double unit, but it is unique in that the warehouses have no walled separation, just and open 48′ wide by 36′ deep area for the Tenants use. the office portion is separated, having two 336 Sf spaces finished to an office quality…vaulted ceilings, carpet, large windows. The warehouse are feature the units (2)restrooms, has high ceilings, (2)floor drains, (2) overhead doors. 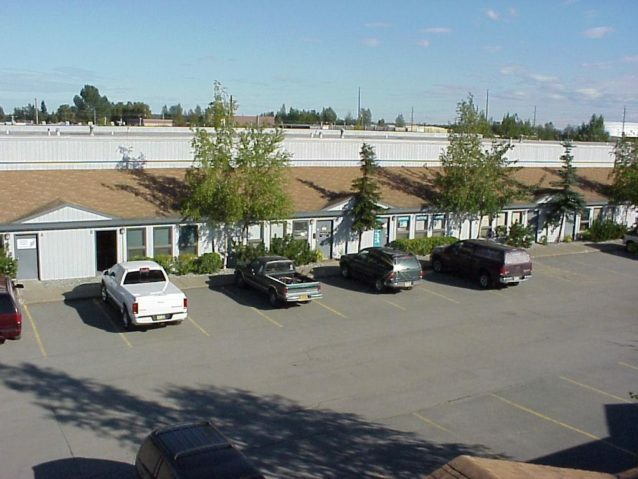 This space is being marketed for the replacement of an existing Tenant with a lease expiring on 9/30/2019. The owners will accept a discounted rent of $2,900.00 per month though 9/30/19, but the rent will then increase to the listed amount, or as negotiated. 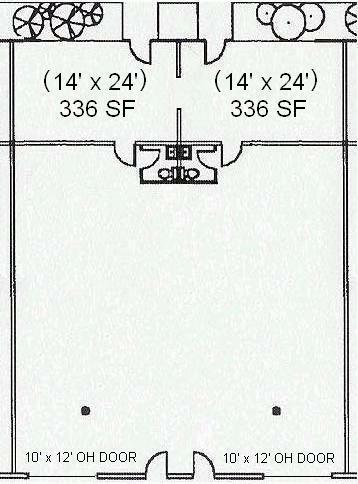 Office with vaulted ceiling 48' by 14' with deviding wall at 24' mark. 48' by 36' warhouse with high ceilings. 2 man door entry points in both the front and the back.